WVC600 Using IP65 waterproof streamline design, Can effectively prevent rainwater on the surface erosion, Built-in high-performance Maximum Power Point Tracking(MPPT)Function,Better able to track changes in the solar luminosity and control different output power, Effectively capture and collect sunlight. AC electric power transmission using the reverse transmission technology, Is one of our patented technology, The inverter output power can provide load priority use, Extra electricity to the grid, Efficient use of the inverter to the power emitted, Electricity transmission rate of up to 99%. Communication using two modes, Between the inverter and Collector Using power line carrier communication signals, Collector with a PC or other devices to communicate Using RS232 serial port/ WIFI wireless communication. Intelligent monitoring systems, The inverter can collect real-time data, Inverter can be controlled startup / shutdown / power regulation. power point,A substantial increase in output power greater than 25% or more. 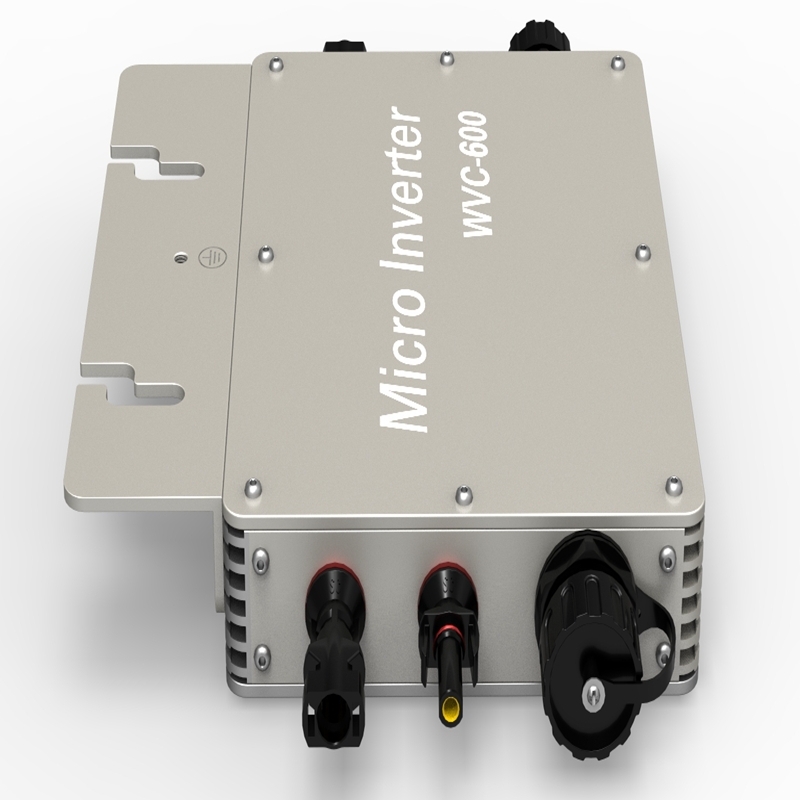 Why is the use of micro-inverter? 1. The transition from a centralized to a distributed inverter optimizes energy collection. 2. The converter module integrated into the solar panels can reduce installation costs. 3. By reducing the temperature of the converter and remove the fan, you can enhance system reliability from 5 years to 20 years. 4. Soft switch technology to replace hard-switching technology can improve efficiency and reduce heat dissipation. 5. From cottage industry to mass production, standardized design (hardware and software) to improve reliability and reduce costs. 6. Using a special capacitor (due to the high failure rate). Design requires a higher voltage to reduce the current, we use a special electrolytic capacitors. require maintenance, life expectancy is shorter. 1. We love to hear from you. Drop us an email if you like our solar controller. 2.We would like very much to work with you to solve any issues you may have. Thank you and contact me if you are interested!